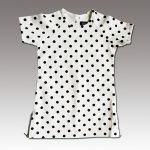 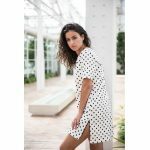 Get all polka dots with our popular white A dress! 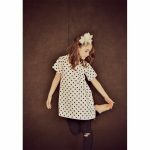 This all over dress is a must have for your kid, elegant and classy! 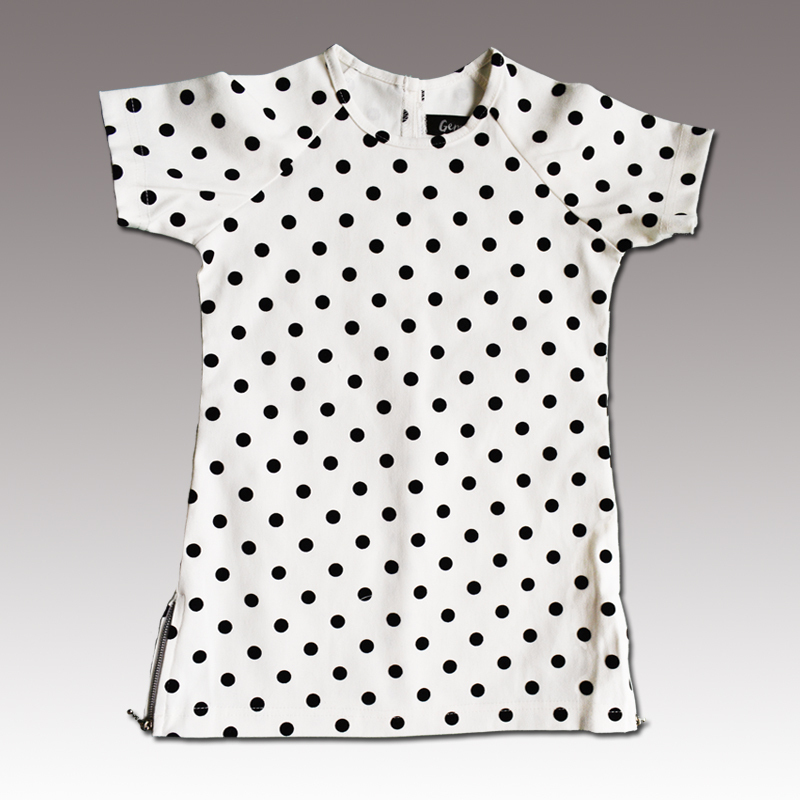 This dress has 2 zips that just add to the sassy feel. 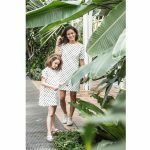 The A dress is available for toddlers and as well as for girls up to 10 years old.